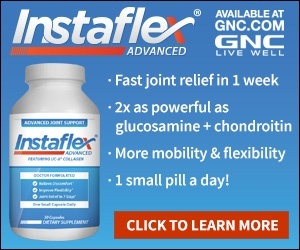 Instaflex has perfected the simplicity of scamming people with a trail offer and fine-print authorizing repeat monthly auto-ship at high prices. Don't know if the product works, don't care. They took my money with sleight of hand. 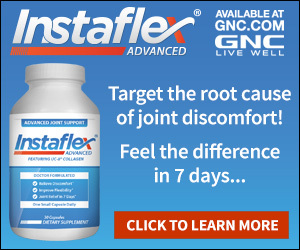 The offer is associated with fine companies like GNC, Rite-Aid, DrugStore.com, Amazon.com, Swansonvitamines.com, Vitacost.com and the Arthritis Foundation for credibility. The offer is for a sample trial amount at a low cost. Seems like any promotion to get consumers to try the product. The problem is that it is not obvious and clear that you are obligating yourself to a monthly subscription. Pills com in the mail with no paperwork so I took me a while to find the charges on my credit card and figure out I had been played. The company only credits back 30 days activity. I guess this is where the stay legal and appear to be a stand up company and avoid the scam laws. Shame on me for not smelling a rat - shame on them for being a rat. (Not intended to hurt the feelings of rats or rat lovers). Review #258382 is a subjective opinion of rhdbob. on your credite card every month.